When the charity Galgael invited me along to run a session exploring what design means to them, I couldn’t refuse. The Galgael Trust are a grassroots organisation helping some of the most disadvantaged people in Glasgow by teaching them woodworking skills. These skills lead to increased confidence, helping people get back into work with a renewed sense of direction and drive. We all know that the world of art and design can alienate people and I saw this workshop as a great opportunity to explore how I can discuss the role of design with “laypeople”. 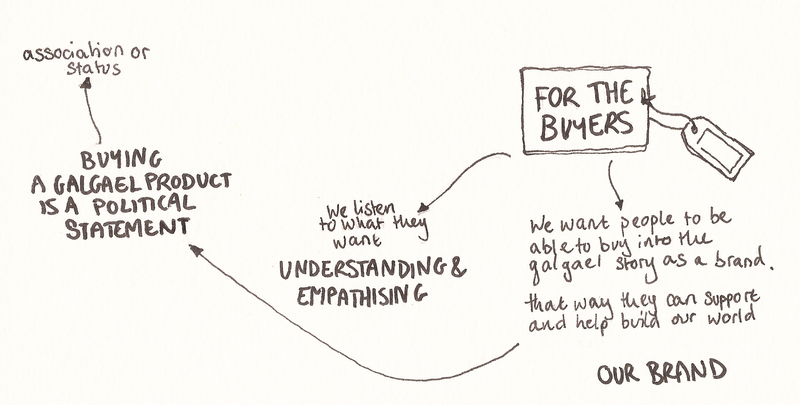 Additionally I wanted to help the makers at Galgael to sell more products through including some design thinking in their work. 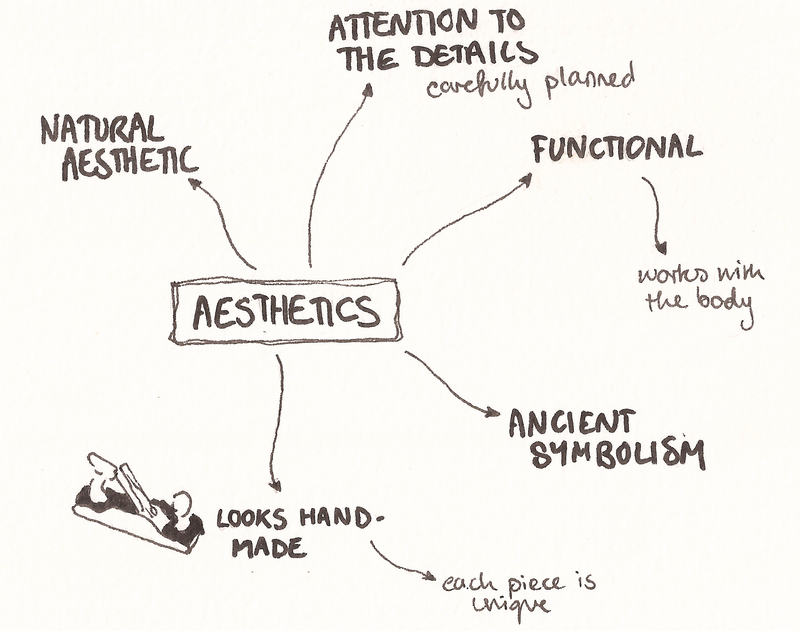 To begin with, I was interested in what exactly my participants thought design was. 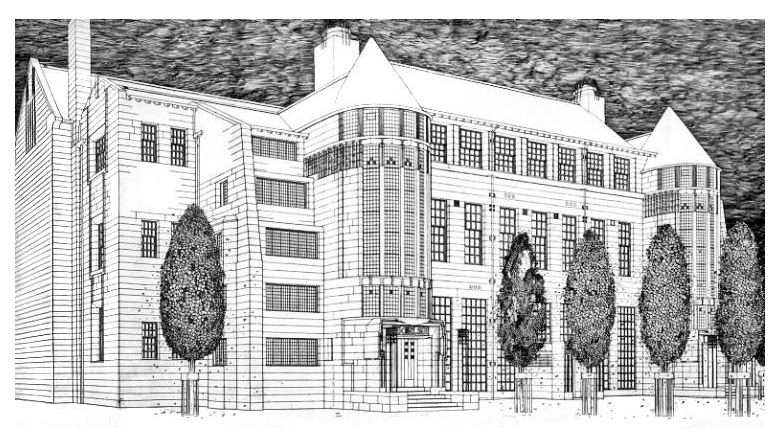 We started by discussing some iconic Glasgow designers such as Charles Rennie Macintosh. 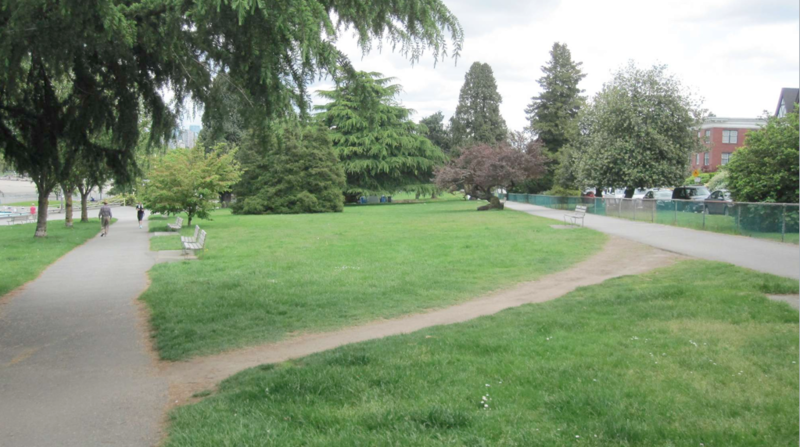 I then moved on to trickier questions: asking the group whether these desire paths [below] count as “design” or not. 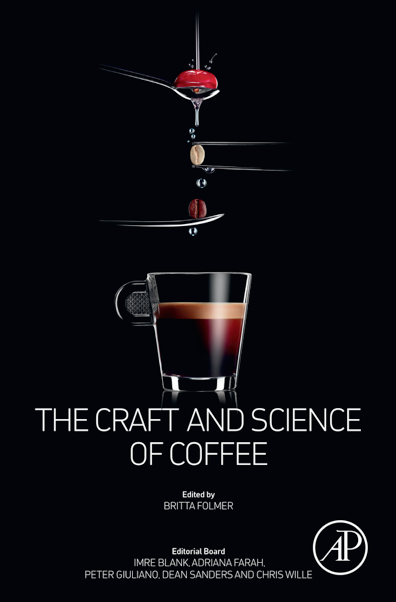 My aim was to get them considering that design is not only about beauty but also considers how something will be used, perhaps even misused, and why. Next, I was curious whether the group thought that advertising counted as design. I told them that designers create objects with stories behind them, and if you want to sell something you need to convince people to buy into that story. Being a designer means being aware of this, but I think Galgael has an opportunity to take advantage of it. 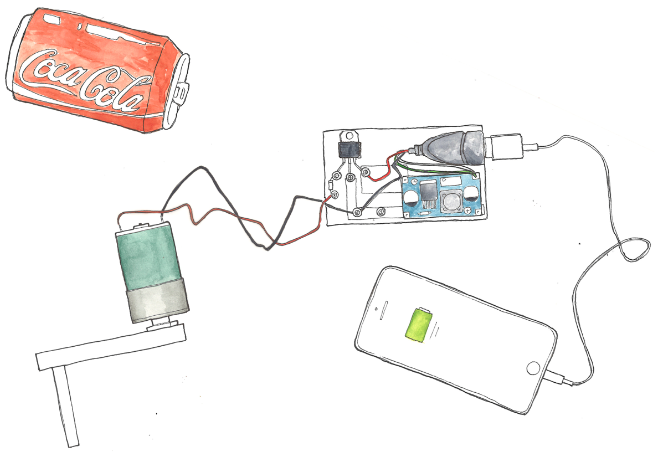 We discussed as a group how advertising creates a “perfect world” to sell products. The people in the adverts are very beautiful, happy and successful; this leads us to believe our lives will be more like theirs if we own the product. In owning it, we want others to associate our identity with the world implied in its advertising. Yet interestingly enough, Galgael also has a “perfect world” to sell. Galgael are striving to build a fair Scotland in which every person is valued and supported to achieve their full potential. 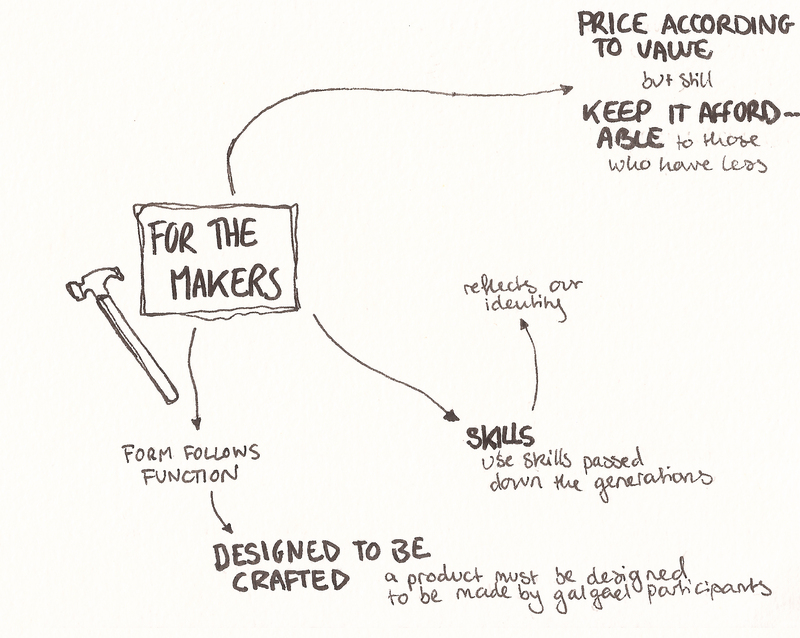 People buying products designed and made at Galgael are buying into this vision and funding it into reality. They can also feel proud that they are being personally associated with Galgael’s work. 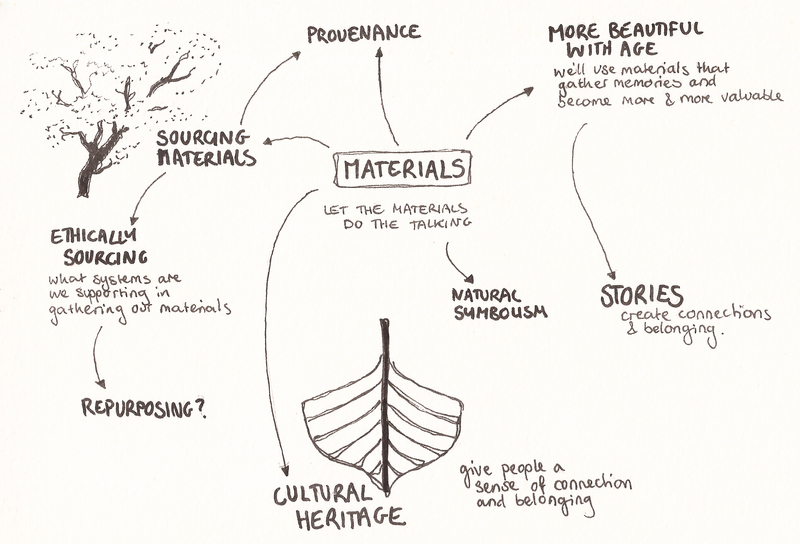 We also discussed what criteria a good piece of design made at Galgael would fill. 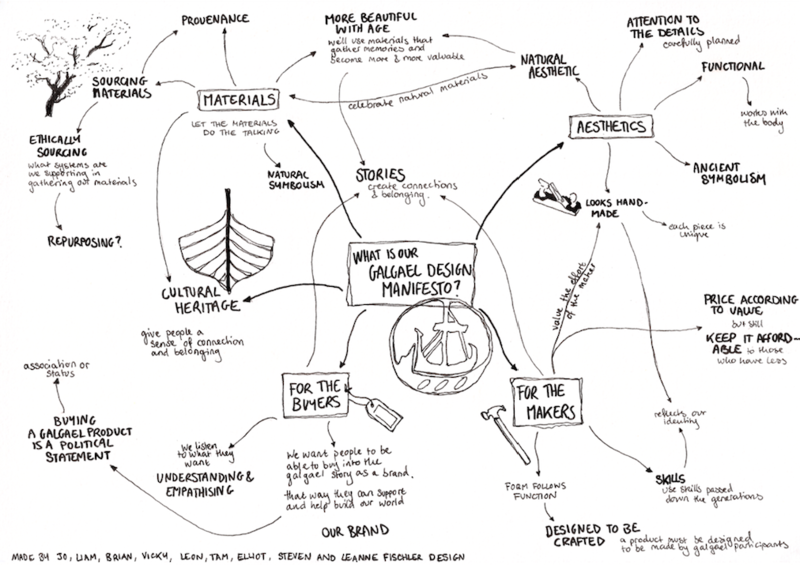 This was a little broader and allowed the group to consider how Galgael’s wider values can apply to designed objects. The team explored the idea that, alongside the desire to support Galgael, buyers may also be attracted by the idea of supporting sustainable production. Using local materials has always been a core value at Galgael because it is more environmentally sustainable and because it helps tie an object to a place, embracing provenance and local identity. 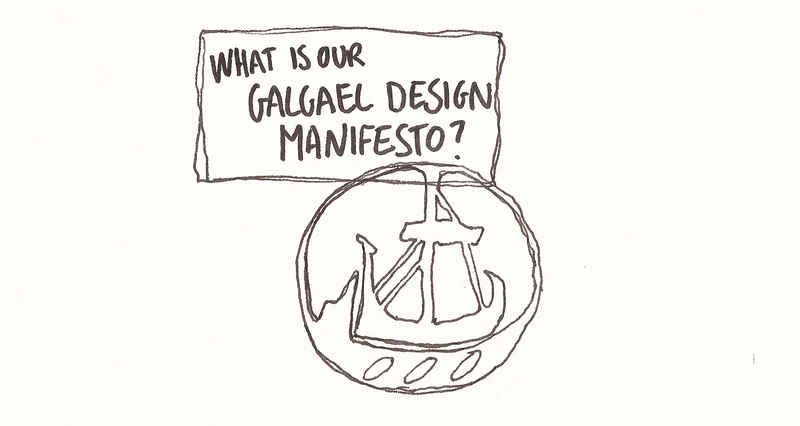 In seeking a conclusion, we decided that the most important thing that design thinking can offer Galgael is an awareness of the story behind an object. A designed object that embodies Galgael will keep traditional skills alive; it will use local and sustainable materials; it will embrace natural aesthetics; and it will value hand craft. In designing and selling such objects Galgael’s vision could be funded into reality. Thanks to Jo, Liam, Brian, Vicky, Leon, Tam, Elliot and Steven for coming along to the workshop!